I recently got a new baby leopard gecko from the pet store 2 days ago. (April 11th) This pet store had somewhat knowledgable employees. The pet store is called Safari (here in the Montreal, Quebec area). The babies were kept on tiny tiny wood chips, and were eon a diet of minuscule crickets. I was told that they got the baby leopard geckos 3 weeks ago, but the breeder wanted to keep them one week, so I'm assuming it's 1 month old. It's about 6 grams (I weighed it in the container it came in, then weighed the container once it was out). The first night, the baby ate 9 mealworms tong fed by me. I think this was maybe too much, because the next morning I found a regurgitation. 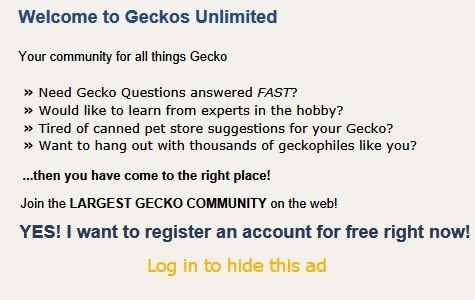 (I've never seen this before because my other leopard gecko Dandy, never regurgitated in her life). To me, the regurgitation looked like a mealworm mixed with wet wood chips... it kind of looked like when you break a popsicle stick in two, and you see the little wood hairs on it. I squeezed it with he tweezers and it seemed like that to me. I was upset and worried, I figured maybe I fed the baby too much too fast. Then, it didn't eat the night of April 12th. So I let it lick a bit of grub pie from a plastic spoon, but not much. Then this morning I find another regurgitation and it's clearly a bunch of undigested mealworms. I will try to post photos of the first and second regurgitation. My theory is that at the pet store, he must have accidentally ate some wood chips; then when I got him, I over fed him. I feel bad about this. I will give him or her a few days to adjust, I will offer only 1-2 mealworms until he seems okay. Also, I noticed a black dot on its stomach, I took a few photos. I was concerned about internal bleeding or something like that. But I've spoken to a breeder and she told me it looks like their organs. It's kind od translucent and nothing to be worried about she told me. Please let me know what you all think, thank you so much! I'm not sure about the black spot. Sometimes it's just poop seen through the skin. As you can see, wood chips is not a good choice for juveniles, and, I have to say, I hope the breeder kept the hatchlings for longer than a week before sending them to the pet store. I usually waited till my hatchlings were 15 grams before selling them. It's not unusual for baby geckos to eat too much and regurgitate. Your plan sounds good. Little more info for you: temperature in the tank is 94 F and the gecko is very active. I didn't tong feed today, instead, I sat on the floor so I was eye level with the tank, so the gecko could get used to me. I placed a yogurt lid container in the tank with 2 small mealworms. I sprinkled some calcium with D3 on them (even though the gecko already has a cap of multivitamins and a cap of calcium with D3 in the tank) I just wanted to make sure he got some. He got really curious, started walking over to the lid, and ate one mealworm. He chewed it more than 2 nights ago (when he was eating super fast) Then he started licking the calcium like it was the best thing ever! Then he ate the second one. I'm keeping a close eye on him. He keeps looking at me when I sit at my desk. He seems very curious now and active. Less nervous and not hiding as much anymore. I hope tomorrow I don't find more regurgitation. As for the pet shop, I have no idea, the boy seemed very young. He was unsure about the dates but his manager was more knowledgeable since he breeds as well. I forgot to ask him the possible hatch dates though so im annoyed at myself. Maybe I should call and ask for sure? I asked them if they get them from good breeders and they said yes. Anyways that's all I have for you now! Thanks again for replying! Here's some photos of the gecko on it's first day here. not sure that i can help with your question but i had to tell you thats a nice gecko right there! look at those eyes! whats the morph do you know? if i had to guess some sort of albino eclipse? raptor, typhoon, radar? I've asked a few breeders and they told me it looked like a pet albino, meaning we don't know exactly what it is but we do know that it's an albino. Good news, no regurgitation today! Oh no, what brand t stat? It was eco terra 100 watt. I returned it and they gave me a new one. I have the same one for my other leopard gecko so I know they work well. I guess it was a dud or maybe it had to do with the fact that the power went off last night. The other one still works though so I think it was a dud! If the eyes are truly red (and it's not just camera red eye) it's an eclipse albino. It looks a little light to be a Bell, but I wouldn't know for sure. I do recommend you keep calcium without D3 in the enclosure since it's possible for them to overdose on D3.